Here's a cool little list of IOS games like Boom Beach. Boom Beach is a mobile game by Supercell the creators of Clash of Clans and Hay Day. In Boom Beach you play with thousands of other players, build and defend your base, save the innocent villagers and explore the unknown islands. 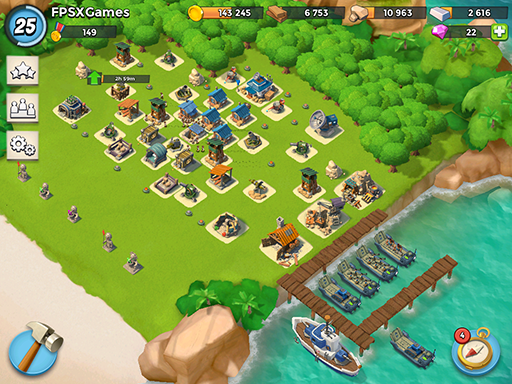 The screenshot below is my island in the game Boom Beach. 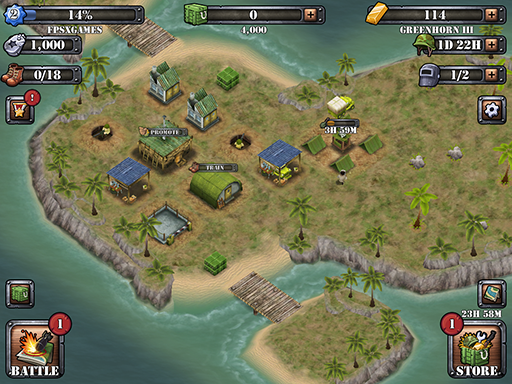 Battle Beach is a personal favourite of mine (see screenshot below) It has loads of features including: Events to take down Islands, Leagues, epic artillery ships to support your attacks and bonus loot. 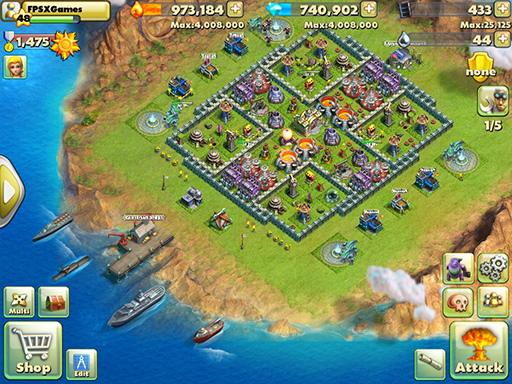 Battle Beach is also very similar to Clash of Clans the creators of Boom Beach. In my search for games like Boom Beach I came across 505 Games Battle Island the creators of Terraria. Battle Island was created before Boom Beach so you could say Boom Beach is like Battle Island but nevertheless It's a great IOS game in its own right. Friendly Fire has a very unique option to select real world places. Friendly Fire will allow you to build your headquarters right in your home town, or you could pick a island for your stronghold. I pick St Ives for my map because it's near to where I live and it looks great from birds eye view. Paradise Cove is a sweet little IOS game like Boom Beach. Players build a thriving island settlement while exploring uncharted territory and new worlds in this exploration simulation game. Design, construct, upgrade, and enhance your own bustling city on a beautiful island. Watch the YouTube video I did for IOS games like Boom Beach. If you know of any other IOS games like Boom Beach that should be in this list then please comment below.